The mult-billion naira Safetowers Estate located at Ikate, Lekki, Lagos and promoted by Safetowers Mortgage Bank Limited and Macbosh Properties Limited has run into controversy following contractual disagreements between the developers and an investor.Conceived in 2013 as a 3 blocks high rise building comprising 16 units of 3 bedroom apartments and 2 units of 5-bedroom Pent duplexes, the project seen as iconic introduction to housing stocks in Lekki axis, was to be delivered within a construction time of 24 months. 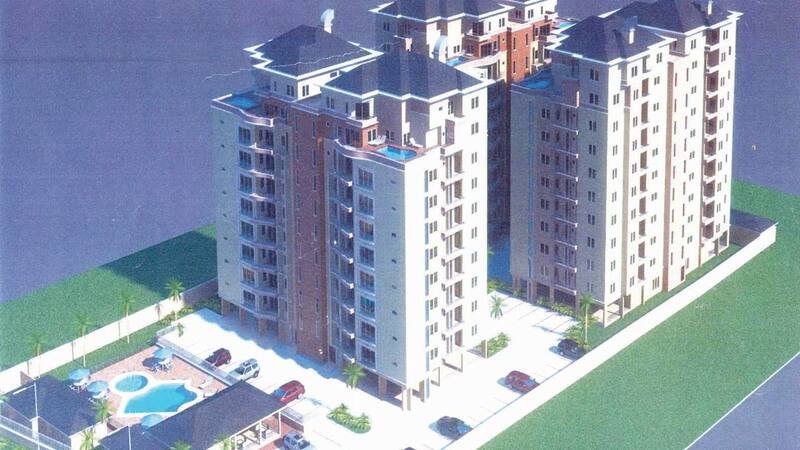 The investor, Mr. Kunle Ogunmefun has offered to purchase one block of the high-rise buildings for the sum of N710 million, prompting the execution of a Memorandum of Understanding in 2014 with the developer with respect to construction and delivery of the property within the stipulated delivering period. In line with the agreement, he made payments by installments, amounting to a total sum of N550 million.But the situation changed for the worse leading to the involvement of the Economic and Financial Crimes Commission (EFCC) over allegations of criminal intent to defraud leveled against the developers by the investor. EFCC’s intervention, which resulted to the arrest of the Chief Executive Officer of Safetrust, Mr. Akintayo Oloko and ensuing legal battle among parties was occasioned by a letter to the Chairman of the EFCC by the investor’s counsel, Olatunde Busari (SAN).In the letter, the counsel requested the EFCC chairman to carry out a through investigation into the activities of Safetrust and Macbosh and on the criminality of the entire transaction alleging that it was obvious that both companies entered into the contract with a tacit intention of defrauding his client. The letter dated June 20, 2017was attached to the counter affidavit in opposition to the originating motion of the developers dated November 7, 2017.The investor has alleged in the letter that Safetrust and Macbosh, (jointly referred as the developers), were in breach of the terms of the agreement after duly acknowledged the receipt of N550 million by allegedly diverted the said sum to other purposes other than the mutually agreed which was evident by the failure of the developers to deliver the said property till date, a period of over 48 months. The lawyer alleged that Safetrust entered into the transaction knowing that it had no legal capacity to do so by virtue of the restriction imposed by the laws regulating banking and financial institution and fraudulently employed Macbosh Properties Limited, which is merely a façade to execute a phantom contract.The involvement of Macbosh, it was alleged was fraudulently concealed from the investor until the point of executing the contract. 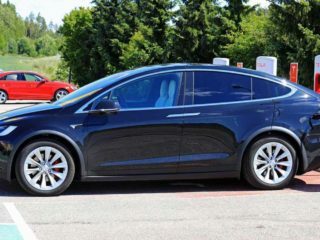 According to the investor, Macbosh was with consent of Safetrust conveniently and fraudulently diverted the money advanced by the investor for other purposes.It was further alleged that Macbosh was a sham as it does not have a physical office and that the investor reliably informed that all meetings culminating into the transactions and after the execution of the agreement were held in the premise of Safetrust and attended by its officers. According to the counsel, it is a general knowledge that most financial and mortgage institutions including Safetrust take not less then 25 percent interest over all loans advanced to customers, hence Safetrust’s insistence to refund the money invested by an interest at the rate of 16 percent is vexatious and fraudulent. 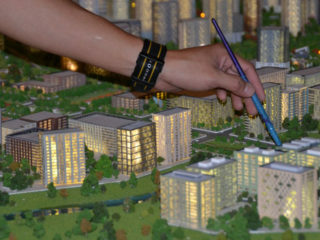 The lawyer alleged that the developers have been evasive and consistent in their attempt to frustrate the investor’s involvement in the project as they persistently refused to furnish him with relevant information and documents and also ensured only junior staff of their companies are present during scheduled meetings. But in the suit filed at Federal High Court, Lagos , the developers represented by the Chief Executive Officer of Safetrust, Mr. Akintayo Oloko, Safetrust Mortgage Bank, and Macbosh Properties Limited and Mortgage are seeking an order for enforcement of fundamental human rights following allegation of arrest and detention of Mr. Oloko by EFCC operatives on August 25, 2017. Listed as respondent in the suit marked FHC/L/CS/1694/17 are the Attorney general of the Federation, the EFCC, Mr. Ogunmefun and Currant Limited. 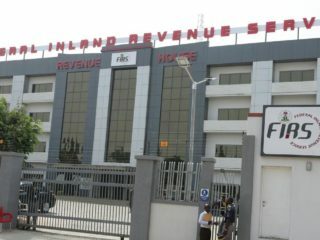 In an origination motion filed before Justice Muslim Sule Hassan and obtained by The Guardian, the developers through their counsel, James Oyetunde, are seeking among other reliefs, a mandatory order compelling the respondents to return forthwith the title deed of the Safetowers Estate registered as N0 37/37/2444 at the Lagos Lands Registry, covered by Survey Plan N0 BAS258/2013/130-116(3)/LA owned by 3rd applicant, Macbosh Properties Limited but allegedly seized by the respondents. The applicants submitted that parties have due to various misunderstanding and events that transpired in the course of the transaction, already agreed to terminate the agreement as contained in the memorandum of understanding on the condition that the developer repay the amount invested by the investor together with the interest that has accrued on the said sum at the rate of 16 percent. They also argued that the intervention of the EFCC was outside the mandate of the commission as contained in the EFCC act.But in their written address against the originating motion, the 3rd and 4th respondents urged the court to determine whether the applicants have substantiated facts contained in the affidavit in support of the originating motion to entitle them to the reliefs sought against the respondents and whether they have raised any reasonable cause of action against 4th respondents. 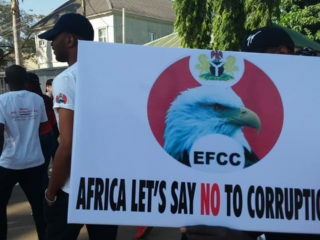 They also want the court to determine whether the EFCC acted beyond its powers when it arrested and seized the 2nd applicants documents.They submitted that the applicants have failed to discharge the burden of substantiating their allegations with cogent evidence to entitle them to the reliefs sought They also urged the court to hold that the applicants are not entitled to a verdict in their favour for the alleged breach of their fundamental human rights and general and exemplary damages.they further asked that the oridinating motion be dismissed with substantial cost. Hearing on the matter has been fixed for Febraury1,2018.In urging the court to dismiss the applicants’ originating motion with substantial cost, it was the submission of the 3rd and 4th respondents that the officers of the EFCC did not act outside the provisions of the EFCC Act, when they investigated the applicants based on the 3rd respondent’s petition dated June 20, 2017, arrested and seized the title deed of the Safetower estate located at Ikate, Lekki Peninsula Scheme. Justice Muslim Sule Hassan has fixed hearing on the matter for February 1, 2018.